Hello Fall! We Love You! Now available online. “Free International Shipping for orders over $40”. 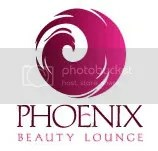 Follow us on Facebook (@PhoenixBeautyLounge), Twitter (@PhoenixBeautyL), Instagram (@PhoenixBeautyLounge) and Pinterest (pinterest.com/PhoenixBL). Sassy packaging, gorgeous colors, comfortable formula – what more can we ask for? We think these might be your new favorite lippies ever! The world’s number one salon nail lacquer brand has gone positively mad. OPI is celebrating the May 2016 release of Disney Alice Through The Looking Glass with a new Brights collection inspired by the film’s mad, crazy, wonderful characters and their latest adventures. The story takes Alice back to the whimsical world of Wonderland, where she time travels to save the Mad Hatter, who is not himself. LA Splash “Dessert” collection in collaboration with Laura G just arrived in the store! Velvet Matte is a new formula enriched with Vitamin E to keep your lips hydrated and while being matte, feels more comfortable on the lips. Please come over to play with our LA Splash testers and have fun with your sweet tooth BFFs! LA Splash Laura G “Dessert” Collection is now available in store and online (address and hours). “The colors of New Orleans are more vibrant than ever, and we celebrate them wholeheartedly with our spring collection,” says Suzi Weiss-Fischmann, OPI Co-Founder & Brand Ambassador. “Should I buy more makeup?